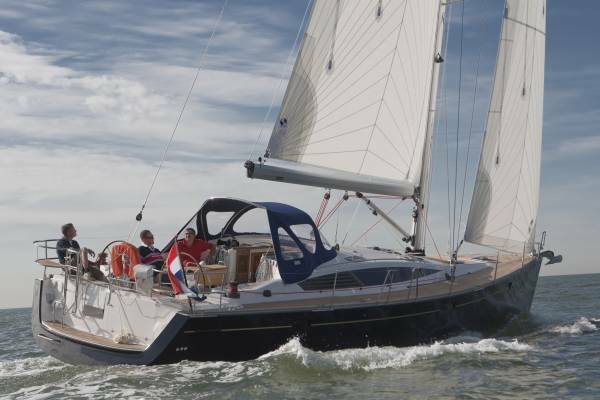 The eagerly sought after flagship of Delphia's fleet, the 47, has had an interior redesign for 2014, and now has an "L" shaped galley, and a reduction in the open spaces making for an improved more easily worked boat at sea. The new interior exudes class and luxury and it is a joy to be aboard. . 2 interiors available. Modern and contemporary, or traditional classic. Ask for photos of both. Well respected designer Andrzej Skratz in close consultation with Delphia has drawn a performance cruising yacht with sleek lines, spacious accommodation and a modern underbody that is stable, responsive, easy to sail, and will provide sparkling sailing performance, This is a boat that Delphia, and you, can be justifiably proud. 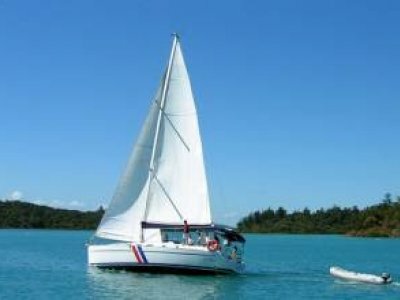 Quality fixtures and fittings are used throughout the boat, and they are well specced for Australia with ample opening hatches and windows providing good natural light and ventilation. 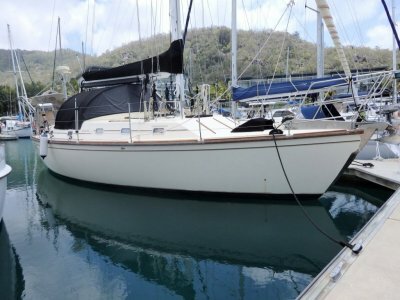 The standard equipment list is high, but many factory fitted options are available such as air conditioning, bow thruster, Selden in mast furling main, fridge/freezer with ice maker, and more. Available in 3,4 and a 5 cabin version suitable for charter operations. Priced from $437670 as specced in the following equipment list.. Prices can change with changes in equipment levels and fluctuations in currency exchange rates. Pricing correct as of January 2015, but please ask for an update. 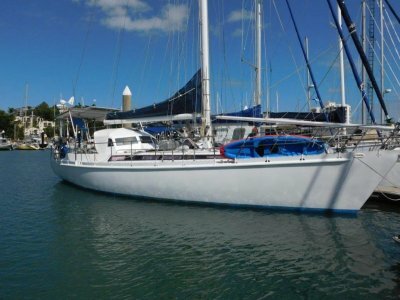 Indicative of the stability and ease of handling of the Delphia range of yachts, a married couple have just won (Jan 2014) the two handed division of a transatlantic race, from Europe to USA, on their Delphia 47. Optional keel drafts are 2.3,1.8 or 1.3 with twin rudders. Volvo 55HP with saildrive, fixed 17inch prop. Volvo 75HP is optional. Engine room: Fully insulated against heat and sound with easily removed panels allowing good access for routine engine servicing. Fire suppression in engine room. Light mahogany timber finish standard, oak or cherry options. 2 double aft cabins with private head access, large forward double cabin with ensuite, spacious saloon with galley on port side, U shaped dinette seating will convert to additional bed, stainless easy care grab handles in strategic locations, ample windows and opening hatches provide good natural light and ventilation. The spaciousness, almost 7ft headroom, ambiance of the light mahogany timber provides comfort that makes you want to stay. Underfloor wine cellar is another feature that will please many. 170 Litre double door Isotherm 12V refidgeration with water cooled condenser works particularly well in the tropics. Optional fridge/freezer with icemaker available. Under deck 12V electric anchor winch. Delta 20kg anchor with 70mx 10mm galvanised chain. As per state transport requirements. Transom storage compartment can house 8 man liferaft. 2 x 12V bilge pumps, 1 x manual bilge pump, fire suppression in engine room, fire extinguishers in galley, Lpg gas cutoff solenoid and detector. Wired both 12Vdc and 240Vac, with weatherproof shorepower plug on transom. Master switch panel with gauges for fuel, water and waste levels. 6x 240V sockets throughout boat. 2 x 12V sockets. 3 x 105AH house batteries plus one start battery. Battery charger, 60amp. Hot water service. Fusion stereo with am/fm/vhf/ipod, usb with two speakers in saloon and 2 speakers in cockpit. B&G Triton wind instrument. B&G Triton depth/speed. B&G Zues 12in touch screen gps/plotter. B&G autopilot. Simrad RS12 vhf transmitter with DSC, cable and arial, will interface with B&G instruments. . Pod aft of cockpit table is ideal location for GPS plotter, and both engine instruments and other nav instruments can be housed at either of the twin helms. 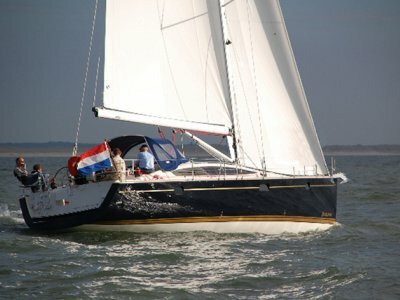 Fully battenned main with MDS cars and two reefs, with single line reefing. Headsail is a self tacking jib, on a furler, but genoa nad other headsail options available, as are spinnakers and associated equipment. Self tailing sheet winches, self tailing winches on cabintop with 4 x 3 port jammers. 6 mooring cleats, 2 each aft, central and forward. 2 large and 10 small opening hatches, pushpit and pulpit fitted with LED navigation lights. Dual helm stations with leather covered stainless wheels, compasses, engine controls and instrument pods. Teak laid cockpit floor and bench seating. Deck shower in transom, stainless boarding ladder. Seats on pushpit railings, cup holders. There is probably not much better value around than Delphia with all top quality equipment, and time has shown that these boats are holding very good resale values.